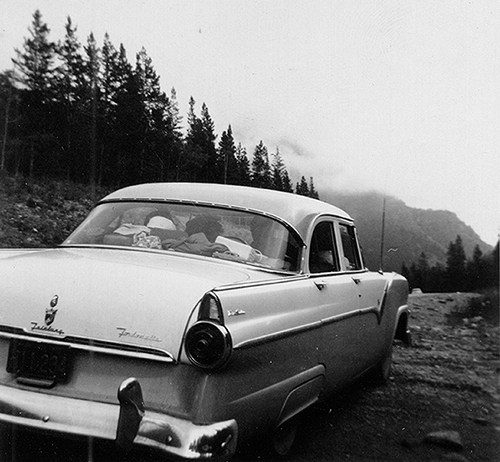 I was looking at this great candid shot of my Grandma the other day, and was inspired to think about road trips as a past time. 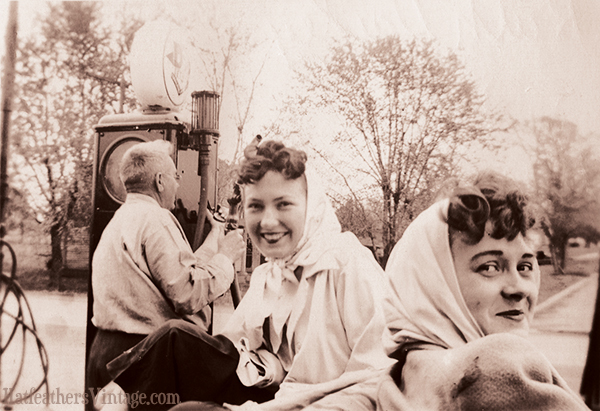 Here’s my Grandma and her friend Bernice, both ready for a windy ride with head scarves in place. 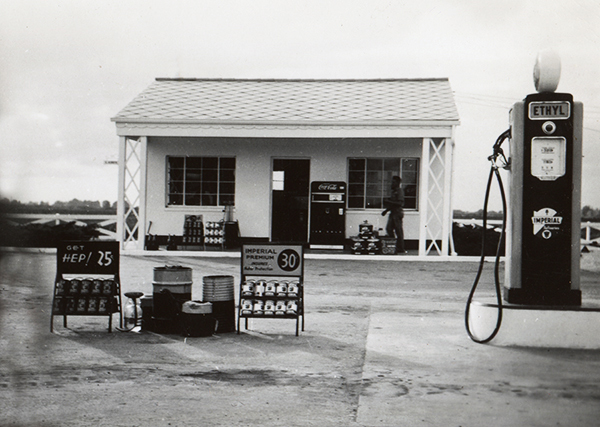 Grandpa is gassing up the car for the ride. 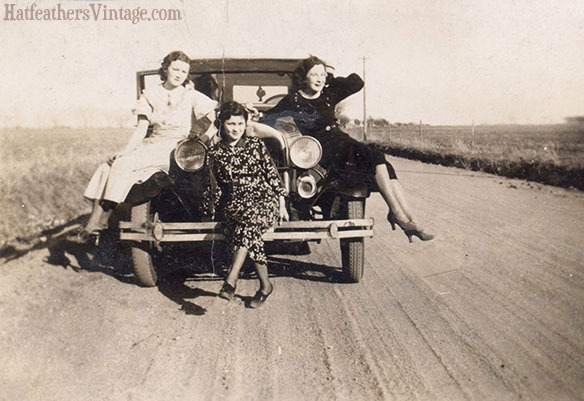 From the other side of the family, here’s my step-grandma and her girlfriends, taking time to pose on a Kansas dirt rode. Want a road trip that never seems to end? Try driving across Kansas. 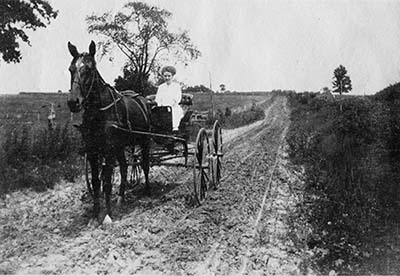 In Great Grandma’s day, the road trip was a lot more work. People tended to stay a little closer to home, and it took longer to get much further away than that. It’s a bold choice to wear anything light colored while riding on a one-horse-power buckboard. 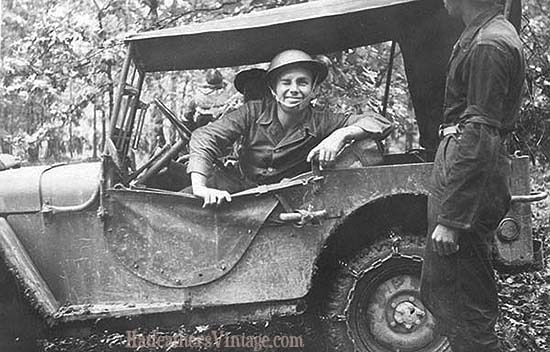 Here’s Uncle Eugene hamming it up for the camera in a stylish pith helmet and standard issue Army greens and jeep during World War 2. 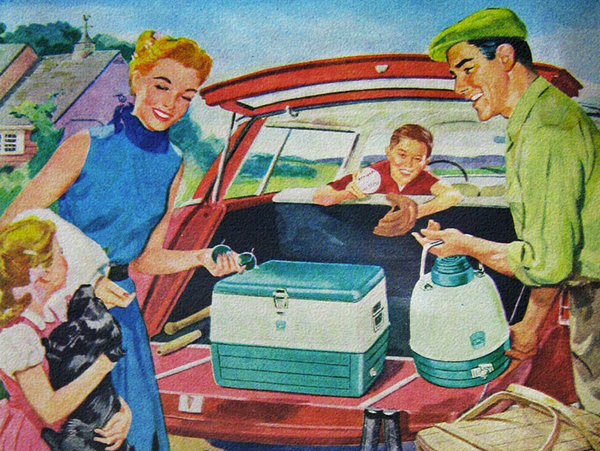 Once the boys came home and cars became ever more affordable for families, the road trip was officially a past time. One worth noting for advertisers. The love affair with cars was officially on. Can you imagine piling your family of five or so into an un-airconditioned car that only has an AM radio? Time for a pit stop! You’ll be making a lot, since your car is fully loaded and only gets about 15 miles to the gallon. The plus side is getting an ice cold Coke in a glass bottle, made with real sugar. Mmmm. 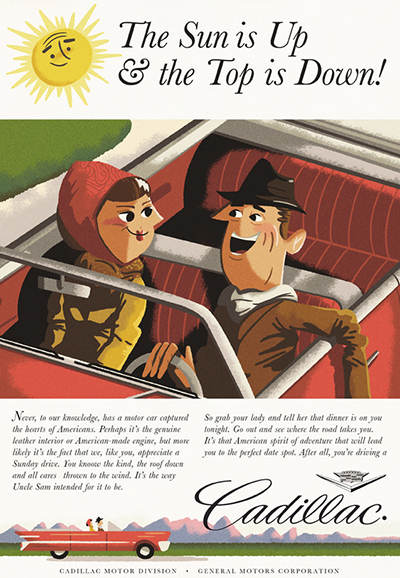 Take advantage of a sunny day and put the top down! Be sure to wear a scarf to protect your curls from the wind.